Featured here we have the stunning Antique French Wardrobe, beautifully hand carved from mahogany and completed in a stunning antique white finish. 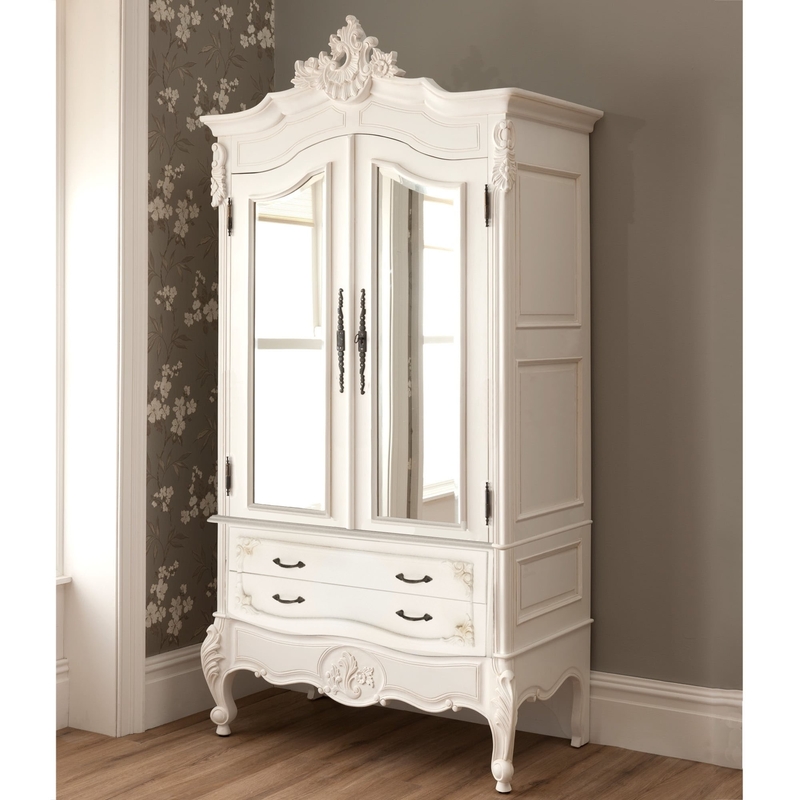 As one of our most popular ranges the La Rochelle collection ensures elegance and the utmost quality, and as seen here the La Rochelle Antique French Wardrobe displays smooth curves with intricate ornate design and 2 practical drawers allowing you to achieve that perfect French boudoir or shabby chic feel. Whether by itself or as part of the full breath taking La Rochelle bedroom set, we guarantee you're going to be pleased. The wardrobe comes in sections for easy access and is very simple to put together. Inside it has one hanging rail and one adjustable shelf. W 111 x D 60 x H 222 cm. Please note: The height may vary as these are hand carved pieces.